Which is better? – When you have high expectations and the meal comes just under or when you have no expectations and the meal ends up amazing? I vote for the second. 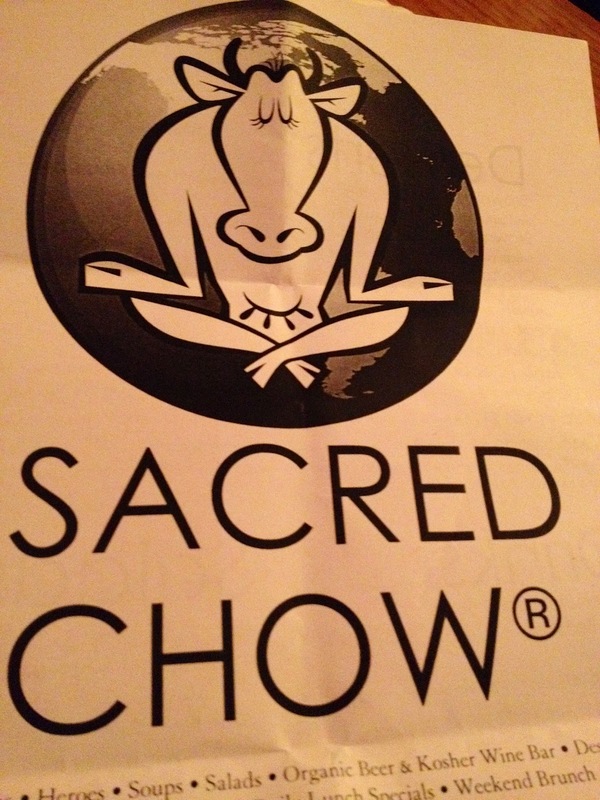 Sacred Chow is in my work neighborhood and I have seen it come up on my iPhone each time I search for a new vegan restaurant to try. I guess I always thought of this place as take out. You can sit here although there aren’t that many tables- it’s worth the wait! 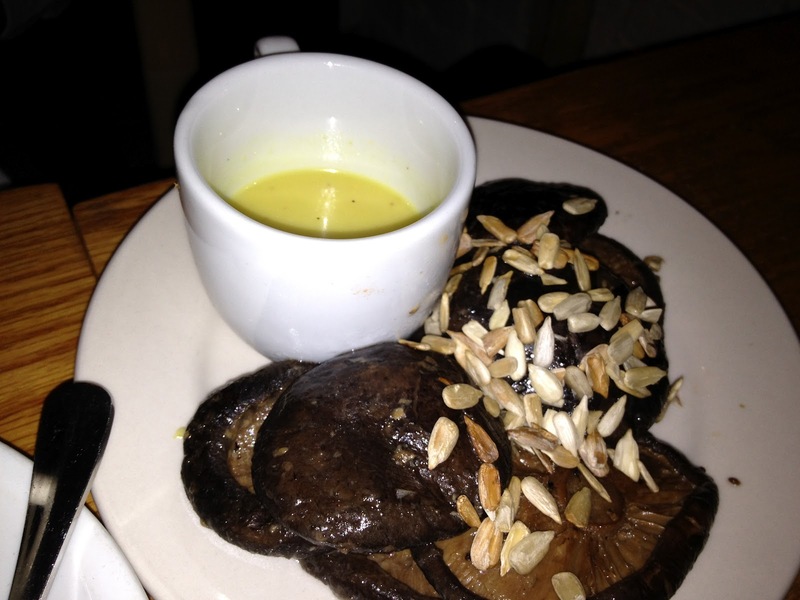 I was still full from my lunch at SNICE- yes I eat at SNICE minimum once a week. They are a casual easy going almost cafeteria style ordering place with a lot of tables- consistent and dependable! I work equal distance from SNICE and SACRED CHOW- now I have more options- this is very exciting for me. I absolutely love this place. Everything was incredible! 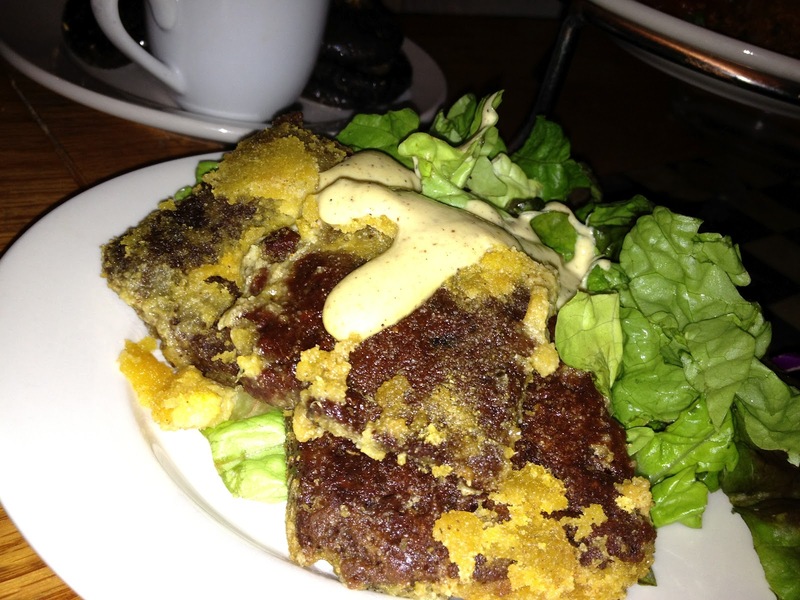 My favorites were the olive seitan, the tofu, meatballs and the shiitake mushrooms. I will complete this menu in no time at all. Look how much I ordered when I wasn’t even hungry- can you imagine? 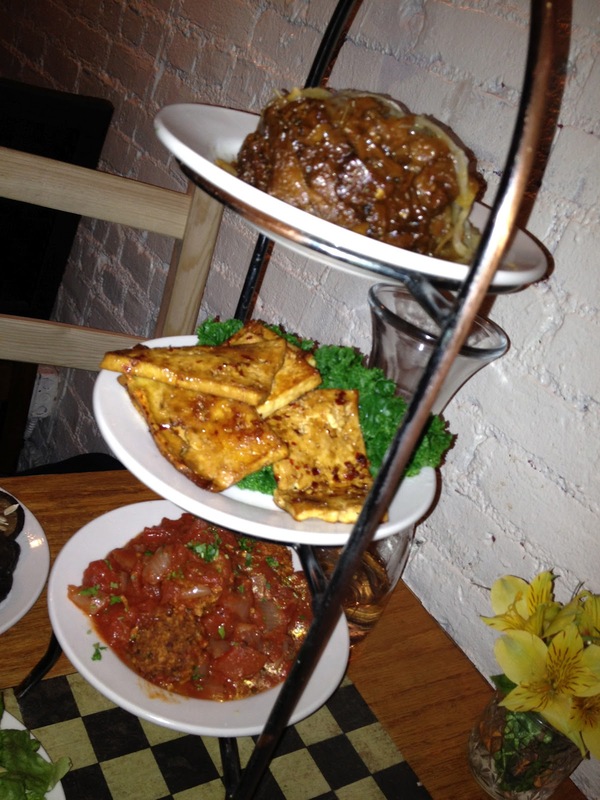 It may actually take some time though because I will be getting these same tapas again- I can’t wait!